Mrs. Myra Louise Smyly Kent passed away peacefully on Tuesday, July 31, 2018 at the age of 89. Myra was born in Roganville, Texas on May 4, 1929 to Sam and Lera Smyly. Myra owned and operated Kent’s Flower & Jewelry Shop in Silsbee, Texas for many years. After moving to Jasper, you could find her working at Hancock Gifts until it closed. She loved playing golf and bridge, but most of all Myra loved her family. Myra is preceded in death by her parents, Sam and Lera Smyly; her husband Charles Kent; and her siblings, Jack Smyly, Doris Jean Martindale, and Jo Steele. She is survived by her daughters, Kay Breidenthal and husband, Chuck and Claire Boutte and husband, Doug. 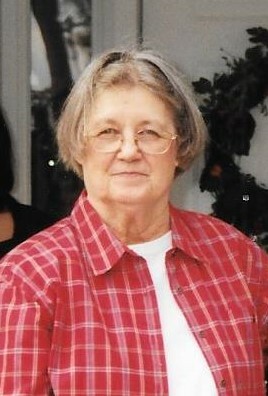 Her grandchildren, Kimberly Galvan and husband, Tommy; Angela Sedlar and husband, Aaron; Sarah Lauber and husband, Jerryl; Joshua Boutte and wife Kimberly; Kent Rabalais and wife, Kristen and great – grandchildren, Isaac, Myra, Gabriel, Ian, Rachel, Maryann, Jeremy, Samantha, Henry, Justin, Alyssa, Hannah, Drew, Jace, and Lauren. The family will receive friends and family for a time of visitation on Friday, August 3, 2018 from 10:00 a.m. to 11:00 a.m. at the First United Methodist Church of Jasper, 329 North Bowie Street. A life honoring service will follow at 11:00 a.m. Burial immediately following services at Jasper City Cemetery in Jasper, Texas.